British Airway’s new policy to categorize the boarding time according to how much you have paid has caused distress in passengers. With the holiday season just around the corner, British Airway’s new policy to categorize the boarding time according to how much you have paid has caused distress in passengers. The new policy which will come into effect by December 12, assigns passengers with numbers ranging between 1 to 5 depending on how much they paid for their tickets. The first boarding class consists of gold/first class flyers, silver and bronze members respectively whereas the economy flyers are in group 4 and group 5 consisting of least paid with hand luggage will board last respectively as reported by The Telegraph. The critics have come down hard for this policy, deeming it being ostentatious about wealth and status as well as trying to promote inequality in the society.” Further adding “Everyone will know how much money you’ve got based on where you are on the line.” However, these types of policies are prevalent in the United States and other parts of the world, with American Airlines, Virgin America, Jetblue, Qatar Airways and Iberia using similar boarding policies as reported by The Independent. 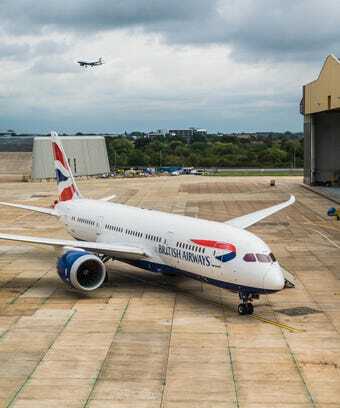 To justify their decision to adopt this policy, The British Airways explained in a statement to the BBC revealed that new rules will hasten boarding process as the new regulations are easy to follow for the passengers, making the whole process more efficient. It has to be seen in the near future how The British Airways and the airline industry reacts and responds to this outcry and possible backlash from the travel community with some even reportedly going as far as saying “boycotting the airlines entirely since it didn’t make sense logistically” according to Condé Nast Traveler.